The middle chapter of Spurgeon’s life—where he rose to fame at the Metropolitan Tabernacle in London—is what most people remember. What they forget is the great controversies that highlighted his Calvinism, Baptist theology, and doctrine of separation. The main subject in this work is Spurgeon’s thought and teaching. This is not a biography. The chapters are centered around the three major controversies of his ministry: (1) The strong proclamation of Calvinism while at Park Street, (2) the Baptismal Regeneration controversy of 1864, and (3) the Downgrade which drained the energies of his closing years. Spurgeon believed that man is responsible to believe the gospel, yet because of his sin is wholly unable to do so. Hyper-Calvinism solves this problem by denying there is a universal obligation to trust in Christ, while Arminianism affirms that the ability to believe is universal. Spurgeon embraced neither. Spurgeon was a soul-winner: “I do feel a longing for the conversion of my hearers, such as I cannot describe. I would count it a high privilege if I might sleep in death this morning, if that death could redeem your souls from hell” (38). But he was also a Calvinist: “The old truth that Calvin preached, that Augustine preached, that Paul preached, is the truth that I must preach today, or else be false to my conscience and my God. I cannot shape the truth; I know of no such things as paring off the rough edges of a doctrine” (55-56). 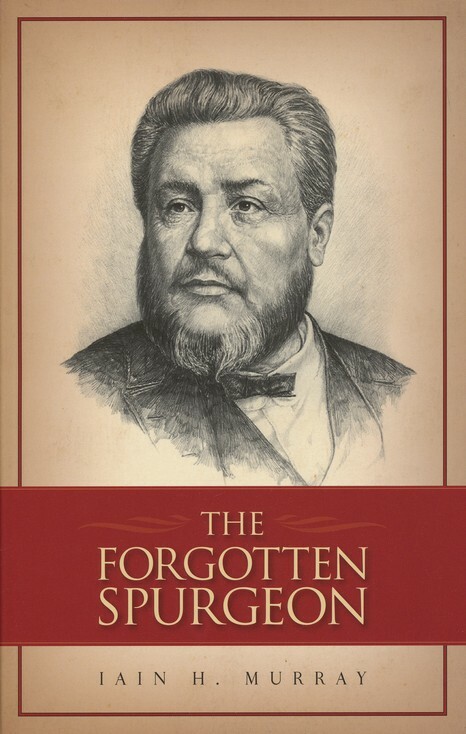 Murray called Spurgeon’s second major controversy “one of the most violent ecclesiastical controversies of the last century.” It arose and blew over in 1864. The opposition party was called “Tractarians” because they wrote tracts defining the church as did the Papacy during the Reformation. They pushed apostolic succession, asserting that there could be no church or salvation without bishops. This subtle push toward Rome forced a debate on baptismal regeneration. What followed was the most popular sermon Spurgeon ever preached, producing over 350,000 copies. In “Baptismal Regeneration” he wrote: “It is impossible but that the Church of Rome must spread, when we who are the watchdogs of the fold are silent, and others are gently and smoothly turfing the road and making it as soft and smooth as possible, that converts may travel down the nethermost hell of Popery. We want John Knox back again” (128). As the Baptist Union fell toward liberalism, Spurgeon declared: “We are going down hill at breakneck speed.” The end of the 19th century brought the rise of Higher Criticism and spectacular advances in science and philosophy. In this milieu Spurgeon’s final controversy, the Downgrade, was born. The beliefs of Spurgeon are what have been forgotten. Murray helps us to remember. Love him or hate him, Spurgeon cannot be called ambiguous. He was clear in his theology and was willing to stand contra mundum. In the end, the controversies sent him to an early grave. He wrote: “I feel that, if I could live a thousand lives, I would like to live them all for Christ, and I should even then feel that they were all too little a return for His great love to me” (20). Sounds like a worthwhile book. Your review caused me to read the appendix in my copy, surprisingly applicable. What would Spurgeon say if he were alive today? Good question, or said another way: what arenas of controversies would he choose to fight in? ECT? Charismatic Chaos? Women clergy? Gay marriage? The worship wars? The New Perspective on Paul?